How to Look Splendid in a Coat : It's So You! The rumors are true. I have left Wisconsin. I've left the Polar Vortices and the sausage and the beer. I've left cold so cold that I was compelled to remind my friends on Facebook until they offered me money to stop posting. And after six months of bouncing around between the outside and the inside of the Virginia side of the Beltway, I'm safely ensconced in a place called Springfield, Virginia. Except that it might seem that I longer have the creds to talk about black ice and frostbite. I no longer hold any authority on topics such as "poly or down?" or "how to rock a long john." How in the world might I rile up my friends on Facebook and what sort of story will make my mother feel sorry for me? Someone in Milwaukee once asked me if it ever got cold in Washington. "Do they get snow there?" she asked. "Do they ever enjoy scarves and gloves and thermal underwear?" 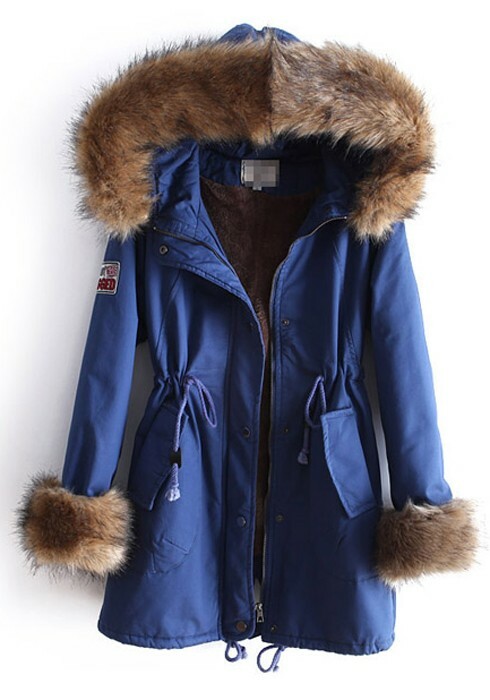 "And what," a client might ask, "are you to do about your famous 'wardrobe of coats' now that you are in the tropics? Oh, I'm so on that wardrobe. There's no need to abandon the only real fun about winter; the hope of the cold; the benefits of living so far away from the equator. It may be a gloriously shorter season, but I'm ready. So bring on the cold! And looking splendid in a coat. Below is the ISY Guide for how to do it. 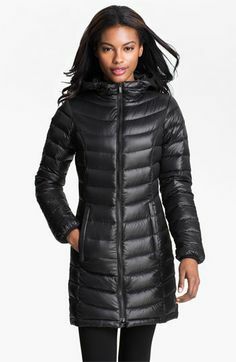 Adopt an everyday-run-out-the-door-kind-of-coat (The kind that looks fabulous without your having to think about it.) Ensure that your handbag can rest where you like it (on your shoulder?) and resist the placing of bulky thinks like keys or Barbies in your side and front pockets. (Larry Levine) Yes, blue. And why not? Accessorize with a neutral scarf (maybe gray and black animal print?) and you have an every day winner. (Michael Kors) Or red. The zippers are what gives this one some swag. 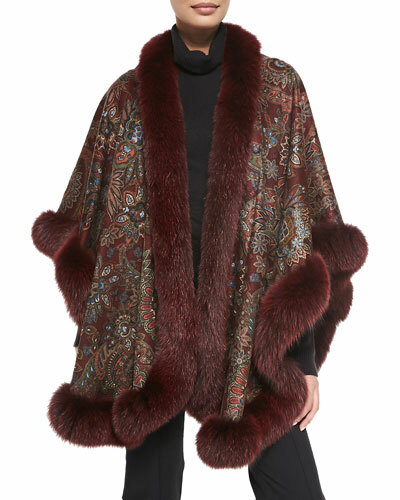 (Nieman Marcus) A cape is always classy. Pair with a clutch or a wristlet and you'll look like a movie star. Or, maybe not so dressy. Note: If you choose a neutral for the color of your coat, accessorize with a glorious color for scarves and gloves. The diagonal lines mitigate the puffiness and the light blue adds a soft touch. (LANVIN) Hey! It might cost as much as a semester at Northern Virginia Community College, but one can dream.